Mistakes happen. 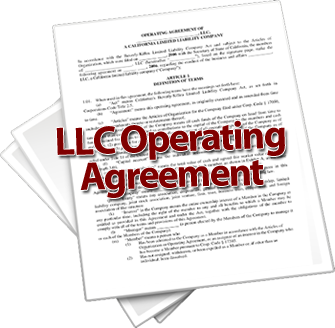 Required formalities in operating an LLC or corporation can be missed. In fact, most small company owners just ignore all of the formalities that are required to maintain their company. Because no formalities are followed, the vast majority of businesses don’t protect their owners with the corporate shield when the company gets sued. The question is, what you are going to do to fix the mistakes and catch up on all the things you should have been doing to keep your company formalities up to par? You could go back and create all the logs, ledgers, records, minutes, and proof you will need to show in order to maintain your corporate shield when you get sued. If you’re not too far behind, you can recreate the needed records. Be careful not to back date the minutes and other records, because back dating things is considered fraud. Simply make the records and put a current date on them. You can say that you are ratifying the action taken or documenting the meeting as of today’s date. In reality, you did take the action two years ago, but you are just now documenting it for the company records. That is perfectly appropriate. It would be better to have documented the meeting at the time, but it is certainly not illegal to make the documentation long after the fact. You can practically and justifiably go back and provide documentation, if you are just a little behind. But what if you haven’t kept up your formalities for years? It will be overwhelming to try to recreate or document all of the actions and records. Start today and move forward with exact precision in your company maintenance. If you get sued 3 years from now and the judge asks you for your company records prior to when you started keeping records, you can let him know that you hadn’t known you were supposed to keep all of the records until you saw my formalities series. From the time you learned to keep records you kept them all. Since then, you can show that your records are perfect. There is a good chance that the judge will recognize your effort and uphold your corporate shield, because the real question is, “Did you intend to treat your company as a separate entity or just your alter ego?” Doing what you know to do as soon as you learn what needs to be done is a strong argument in your favor. If you are starting a business, one of most important things you'll want is PROTECTION! The LLC is by far the BEST asset protection vehicle for your business and can SAVE you THOUSANDS per year in taxes. 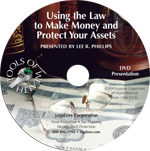 Use the Law to Make Money and Protect Your Assets. This DVD Presentation will show you proven strategies how to Make more money by keeping the money you make.